“We have come here to let you know that change is coming whether you like it or not. The real power belongs to the people”. 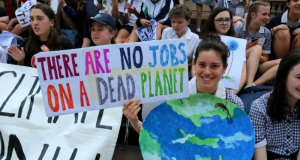 These were the prophetic words spoken by 15 year old school student and climate activist Greta Thunberg in a stunning speech delivered at the COP24 UN climate change conference in Poland. Her speech has resonated with many people across various countries with the video soon going viral online. It is also inspiring other school students to take immediate action to halt this crisis. The situation humanity is facing on its current trajectory in relation to pollution of our environments and exploitation of the planet is producing catastrophic effects for most of the living organisms on this planet – including humanity itself. Our civilisation is certain to be destroyed with the real potential that our species itself will be lost to a radically new ecosystem, inhospitable to life as we know it. Climate scientists and broader scientific community are now sounding the alarm bells. We are rapidly approaching an unmitigated disaster for the globe unless, as Greta says, “we pull the emergency brake” and begin to take immediate action to avoid runaway global warming. Greta accurately sums up the current situation: “Our civilisation is being sacrificed for the opportunity of a very small number of people to continue to make enormous amounts of money…. It is the sufferings of the many which pay for the luxuries of the few”. Such environment destruction occurs solely for the profits of those very few people at the top, the capitalist class. 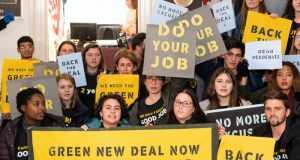 These are the exploiters of not just the environment but also of the working class – the majority of us in society that must serve the capitalist elite day-to-day in our workplace. 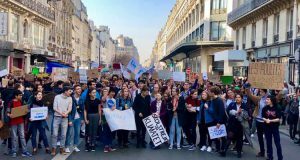 With just 90 corporations having caused two-thirds of all methane and CO2 emissions, we can clearly see that average working people are not to blame but rather a system that is constructed on the exploitation of people and the planet! We, the majority, suffer low pay, poor working and living conditions at the hands of the capitalist class from being highly exploited for their profits, at times to the point of death. They are doing the very same to our planet. Greta later continues: “If solutions within this system are so impossible to find then maybe we should change the system itself”. We have seen the pathetic attempts of the political, business and media establishment to deal with this crisis with paltry recommendations of “take the bus more” and “eat less meat”. The establishment is trapped ideologically in market-based solutions to our problem. We need to take far more radical steps. We need to revolutionise all aspects of how we organise our society. This can only be achieved by breaking with the minority controlled market-based capitalist economic system in favour of a democratically organised, planned economic socialist system. Only by seizing the key aspects of the economy such as energy, food and transport and placing them into public ownership can we begin a transition away from fossil fuels to renewable energy. This is a task that we can achieve by building an international movement of workers and young people based around socialist ideas. 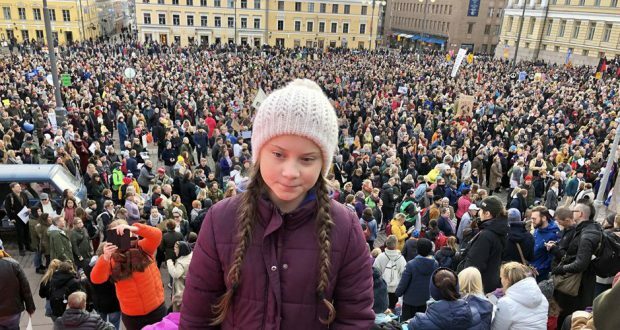 Greta has begun to take radical action by not attending every Friday until the Swedish government begins cutting its carbon emissions by 15% a year. This has inspired school students across the world to take the same measures.